In a sense, the Oracle of Omaha turned 50 this month. 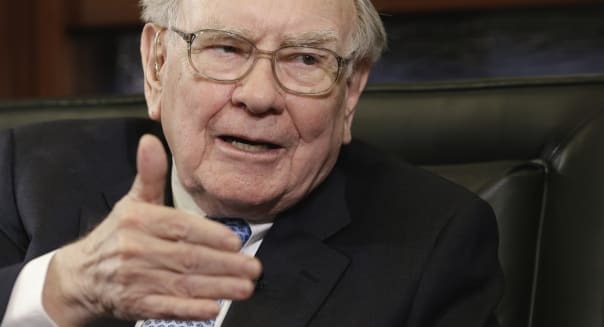 While Warren Buffett himself is 84 years old, he's now celebrating the 50th anniversary of when he took charge of Berkshire Hathaway (BRK-A) (BRK-B). At that time, Berkshire was a declining textile manufacturer operating at a loss and closing plants. Today, it's a huge conglomerate that owns and operates numerous successful businesses, including the insurance companies that provide it with the huge pool of cash that Buffett and his team use to acquire new businesses and invest in the stock market. Berkshire Hathaway has grown over 20 percent a year, on average, over the past 50 years -- a return that's roughly twice that of the S&P 500 (^GSPC) over the same period. Buffett has plenty to celebrate, but in this year's letter to shareholders, he spends almost as much time reflecting on his mistakes as he does his successes. Buffett not only writes about the past year's results, but looks back on his whole 50-year journey at the helm of Berkshire Hathaway -- and looks ahead to the future, including what the firm will do when he's gone. Volatility shouldn't matter if you're investing for the long haul, Buffett points out. The real problem is, if you're spooked by volatility, you may end up doing something really risky -- like trying to time the market. It's investor behavior -- actively trading, failing to diversify and paying excessive fees -- that makes owning stocks risky, Buffett says. "Don't ask the barber whether you need a haircut," Buffett writes. Consider the business model of anyone who's giving you advice -- do they make more money when you take action as opposed to sitting tight in an index fund? Buffett also notes that most advisers "are far better at generating high fees than they are at generating high returns." They're really salespeople, he says. Research by San Francisco investment firm SigFig supports this: advisers generally don't justify their fees by outperforming individuals who manage their own accounts. Buffett owns up to quite a few mistakes in this letter--starting with building up a large stake in Berkshire Hathaway in the '60s, which he essentially says he did out of spite. He mentions businesses he shouldn't have acquired, and opportunities he missed. He also says he should have sold out of Tesco (TESO) sooner than he did (although he notes that it has now hired new management). That serves as a lesson for investors who tend to hold onto the losers in their portfolios too long, to avoid the pain of taking the loss. Take Buffett as your role model and learn to own up to your mistakes, take your hits, and move on. Buffett is very confident that Berkshire will continue to be well-managed and the value of the business will continue to grow. However, he says investors still shouldn't expect the kind of percentage gains from Berkshire in the next 50 years that it's enjoyed over the last 50. "The numbers have become too big," he says. A business of Berkshire's size simply can't continue gaining 20 percent a year. As Buffett's own investing mentor, Ben Graham, famously said, "In the short term, the market is a voting machine; in the long run it acts as a weighing machine." In other words, in the long term, stronger businesses will ultimately be worth more -- but in the short term, anything can happen. Nobody knows what any stock will be worth a year from now, but you can be reasonably confident that investing in a solid business will reward you in the long run -- unless you've overpaid for that stock in the first place. Buffett returns to this point a few times in his letter. It's one of his core principles when looking for businesses to acquire: even a good business is a bad investment if you pay too much for it. This absolutely applies to individuals buying common stock. As Buffett writes of Berkshire Hathaway's own stock, "a sound investment can morph into a rash speculation if it is bought at an elevated price." This point is worth remembering -- particularly when you're considering buying shares in a hot new IPO. Individual investors tend to pay a premium for newly public shares, which cuts into any potential returns.